Senior European Union official Donald Tusk was grilled for several hours on Wednesday, in the context of a Polish government probe into an intelligence agreement between Warsaw and Moscow. But Tusk, who is the current president of the European Council, and served as Poland’s prime minister from 2007 to 2014, dismissed the probe as politicized and said it was deliberately designed to harm his political career. The investigation was launched by the government of Poland earlier this year. Its stated goal is to investigate an agreement that was struck in late 2013 between Poland’s Military Counterintelligence Service (MCS) and the Federal Security Service (FSB) of the Russian Federation. The agreement allegedly took place in secret, but was never implemented. The government of Poland canceled it in 2014, after accusing Moscow of illegally annexing the Ukrainian region of Crimea. On Wednesday, Tusk spent nearly three hours at the office of the prosecutor in Warsaw, in a question-and-answer session that was held entirely behind closed doors. As he was leaving the building, the former Polish prime minister said he could not comment on the content of his testimony. But he used strong words to dismiss the entire investigation as “extremely political”, while accusing those behind it as holding a vendetta against him. Tusk and his supporters believe that the probe was primarily initiated by Jarosław Kaczyński, leader of the conservative Law and Justice party. They also claim that Kaczyński, who is Tusk’s political arch-foe in Poland, is spearheading a campaign of personal vindictiveness against him. The rivalry between the two men began in 2010, when an airplane carrying a Polish government delegation to a World War II commemoration event in Russia crashed near the Russian city of Smolensk, killing everyone onboard. Among the dead was Polish President Lech Kaczyński, Jarosław Kaczyński’s brother. Since the air disaster, the leader of the Law and Justice party has maintained that the Russian government deliberately brought down the plane. He also accuses Tusk, who was Poland’s prime minister at the time, of colluding with Moscow to eliminate his brother. These allegations remain unsubstantiated, but they have contributed to the emergence of a venomous political climate in Poland that has dominated national politics for years. On Wednesday, during Tusk’s three-hour testimony, several thousands of his supporters demonstrated outside the office of the prosecutor, urging Tusk to run for president in a few years. It is a common expectation in Poland that Tusk will soon turn his attention to domestic Polish politics and run for the highest office in the land in 2020. On the face of it “an agreement that was struck in late 2013 between Poland’s Military Counterintelligence Service (MCS) and the Federal Security Service (FSB) of the Russian Federation.” would look very odd. This is in terms of Poland (a NATO country since 1999) making a deal with NATO’s main opponent, Russia. 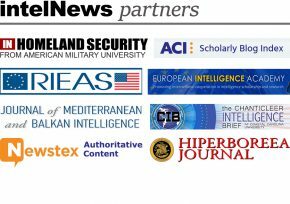 However a joint interest, across alliances, is Counter-Terrorism, in Humint and Sigint/Cyber spheres. Islamic State is a threat to all. NATO countries and Israel may see it as very useful for their security-intelligence agencies to exchange information with Russian equivalents, including FSB. You might find the background on the Polish plane crash by visiting http://www.doomedsoldiers.com. Then read my article there; ‘Crime Without Punishment.’ The current Polish crash investigation is being carried out by the highest qualified and internationally recognized crash investigators.